(not “Why,” “When,” or “Who”). Learning is really about translating knowing what to do into doing what we know. It’s about changing. Taking action may seem risky, but doing nothing is a bigger risk! God, grant me the serenity to accept the people I cannot change, the courage to change the one I can, and the wisdom to know—it’s me! 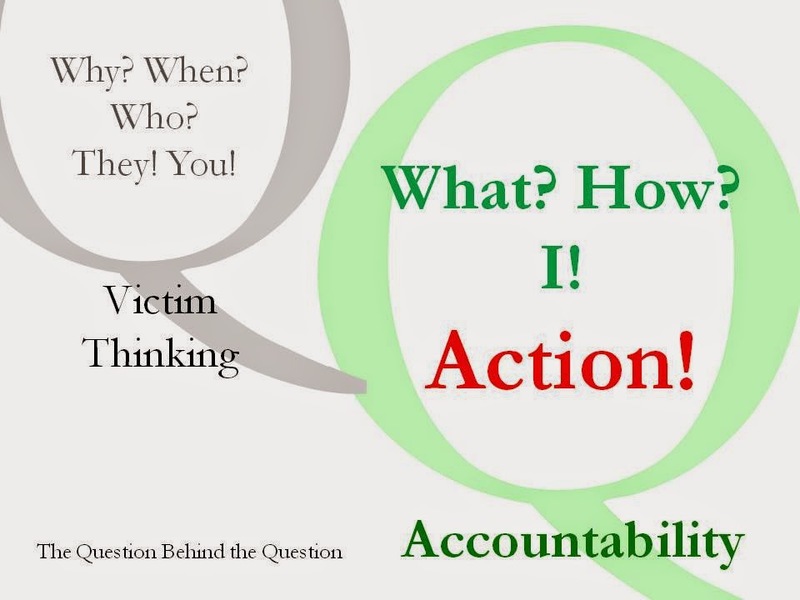 Accountable people look for solutions, not scapegoats.